It has been a good year for the 49 current and former League1 Ontario players that have been selected to represent Canada at various levels in 2016. League1 Ontario clubs have been able to give young athletes a platform to showcase their ability, with various players moving on to high profile post-secondary programs and/ or pro clubs around the world. In turn, the list of League1 players that have represented Canada at the national level continues to grow since the league launched in 2014. 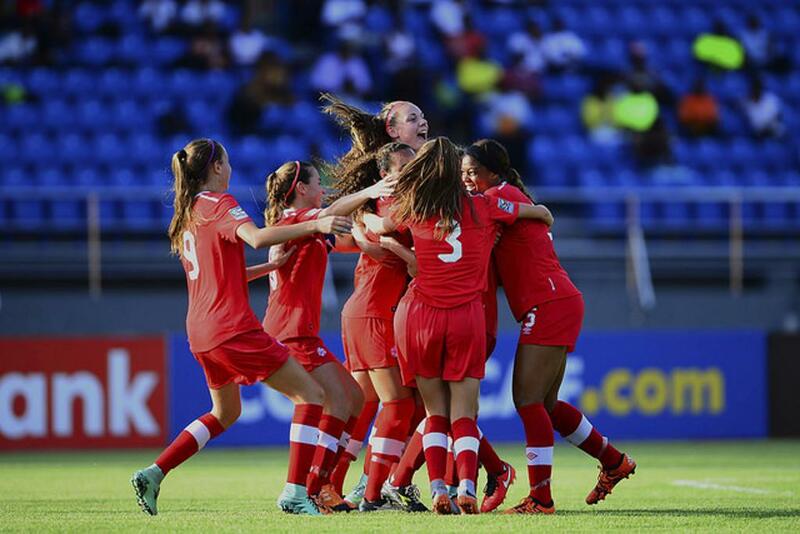 On the women's side, Canadian teams have this year competed in the U-15 Girls CONCACAF Championship, U-17 Women's CONCACAF Championship, U-17 Women's World Cup, the International Women's Youth Football Tournament in China, the 2016 Rio Olympics, the Women's U20 World Cup and various identification and pre-tournament camps. Fourteen League1 Ontario women's players were selected to the squads for these competitions during the course of the 2016 League1 season. Vaughan Azzurri had two of their youth players selected to the U-15 CONCACAF Championship team. Goalkeeper Katrina Haarman and Maya Antoine made appearances with the Azzurri this season, as well as helping Canada reach the finals of the U-15 tournament. Haarman was able to earn two clean sheets in the two games she started at the tournament. Her teammate Antoine appeared in six matches, starting five of them, and being a part of all five of their shutouts during the competition. League1 was also well represented in the Canadian U-17 women's team. Four League1 players were selected for the CONCACAF U-17 Championship squad, and all four made appearances in the Aurora United FC side. Keeper Marissa Zucchetto, Vital Kats, Lauren Raimondo and Sarah Stratigakis suited up for their country, which were able to finish in third place behind Mexico and the U.S. Kats was able to score her third international goal in the third place match against Haiti, while Raimondo added two more in the same game to give her country a 4-2 win. 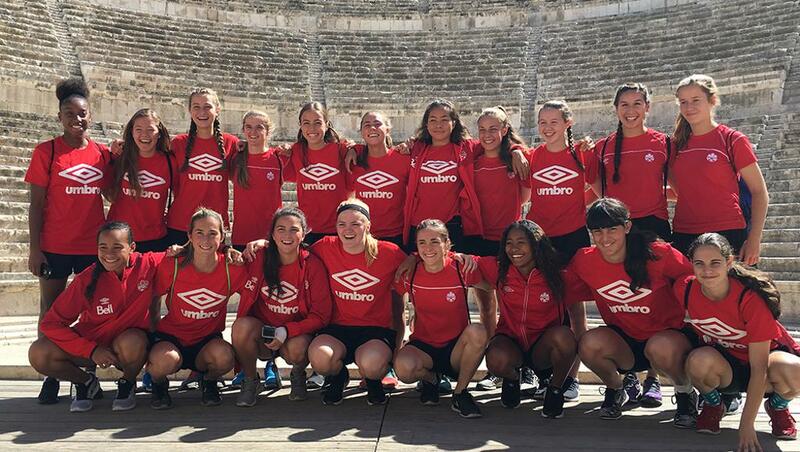 The four Aurora players and Woodbridge's Mikayla Dayes were also selected for the ensuing FIFA U17 Women's World Cup in Jordan during September/ October, with Stratigakis playing a very influential role. Stratigakis was handed the captain's armband and played every minute of the team's three group stage matches against Cameroon (3-2 win), Germany (1-1 draw) and Venezuela (2-0 loss), scoring a penalty against Cameroon. 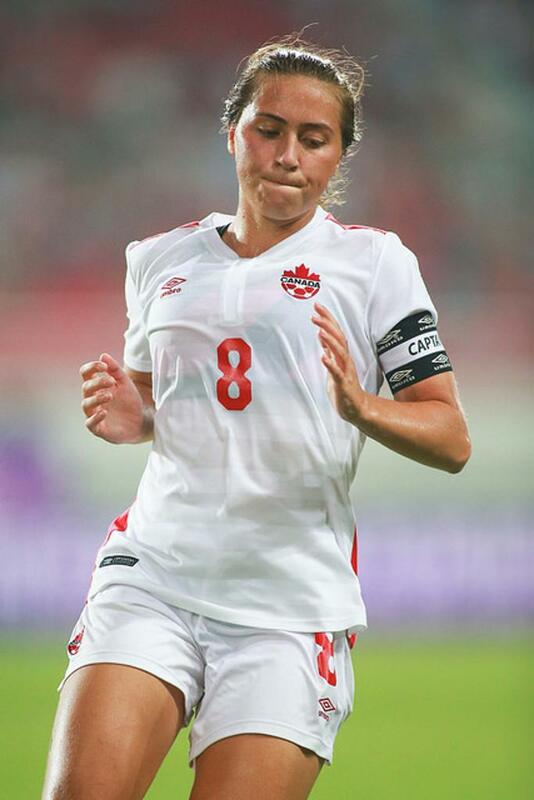 She has been a bright spot in the Canadian youth system, making her international debut with the U-17 team when she was 14 years-old and playing with the U-20 team while she was 16 years-old. She has scored four goals so far in all international competitions this year, and is increasingly regarded as a standout leader within the junior ranks. The four Aurora players and Woodbridge Strikers' Mikayla Dayes also made the national team when they headed to China to participate in the CFA International Women's Youth Football Tournament in July. Throughout the year, the Canadian Soccer Association has been holding ID camps to see where national players are in their development and to open up their player pool. Ten League1 Ontario women players have been selected to these EXCEL camps, which covers U-14 to U-20 levels. These players include: Marissa Zucchetto, Maya Antoine, Vital Kats, Sarah Stratigakis, Lauren Raimondo, Patricia Koutoulas, Alex Lamontagne, Jessica Lisi and Mika Richards. Richards, Lamontagne and Koutoulas would all later be selected to the Women's U20 World Cup squad. Vaughan Azzurri's Rylee Foster (Vaughan Azzurri/ West Virginia) joined the Women's U20 World Cup team for the pre-tournament camp and the finals in Papua New Guinea. Finally, two players from the Canada Senior Women's National team - FIFA World Cup 2015 Young Player of the Year Kadeisha Buchanan, and Ashley Lawrence - played one late July match for Vaughan Azzurri prior to their departure to the Rio 2016 Olympics. Just like the women's section, League1 Ontario men's section has been able to get substantial representation in Canada teams at 2016 international competitions, including the U-17 friendly matches against the USA in April; the U-17 series in Panama; the U-18 series in El Salvador, the U-20 international camp in England; the MNT friendly in Korea (Nov 7-12), and finally the Men's U20 camp vs USA and Honduras (Nov 6-15). 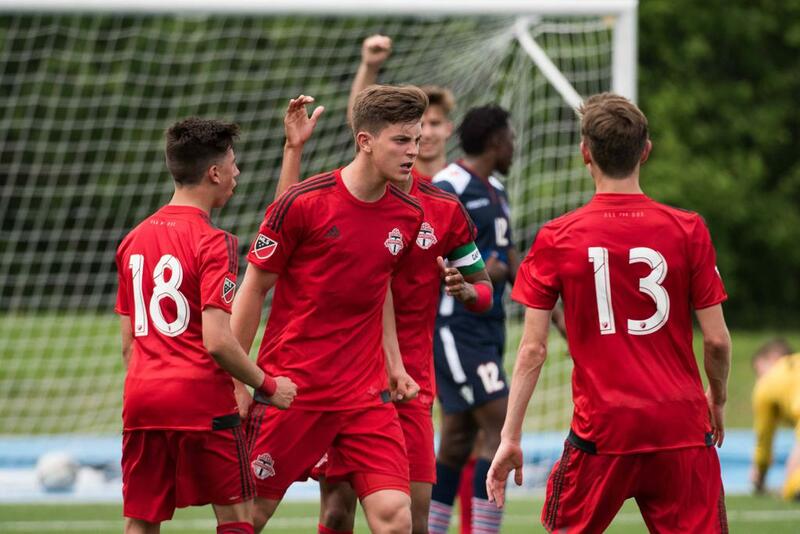 Toronto FC Academy had 20 of their League1 Ontario men's players selected to various national program squads playing at international tournaments this year. 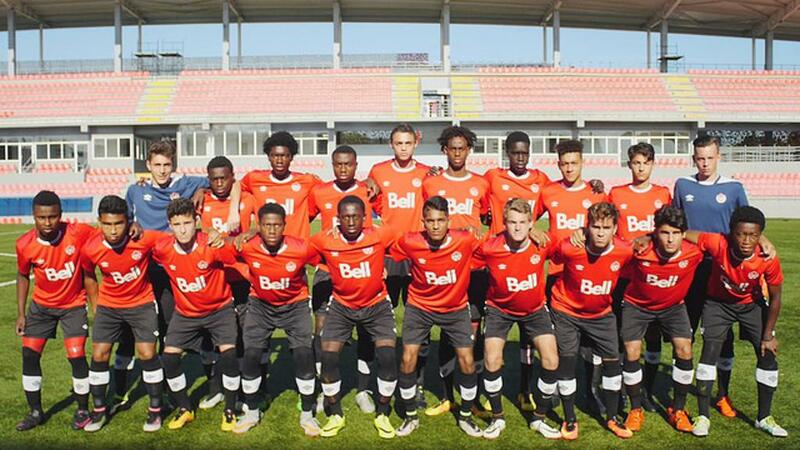 Although the U-17 friendlies against the USA were played behind closed doors, the matches featured TFCA players Afram Gorgees, Terique Mohammed, Luca Petrasso, Olakunle Dada-Luke, Gianluca Catalano, Julian Dunn-Johnson, Rocco Romeo, Jordan Faria, Josh Moreira and Steffan Yeates. Canada lost both matches by a score of 3-1, but TFCA's Terique Mohammed was able to get on the score-sheet in their final match. U-17 coach Paul Stalteri also called up TFCA's Noble Okello and Zakaria Abdi to join his team that went to Panama in the middle of September to take on the host nation and Mexico in a two game series. 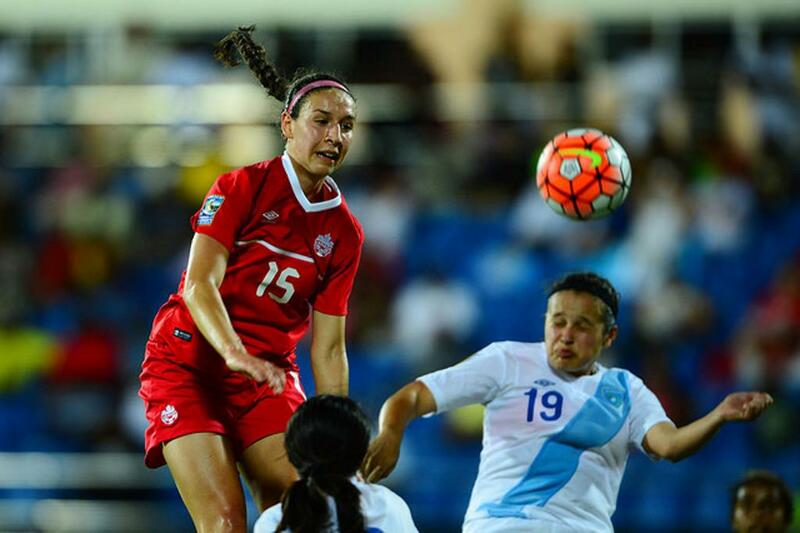 Canada lost the opening match 4-0 to Mexico, but was able to bounce back with a 2-1 win over Panama. Zakaria Abdi scored his first international goal, while Mohammed's second U-17 goal (assisted by Okello), was the eventual winner. Earlier in the year, the Canada U-20's went to England to play two friendlies against the English U-20 team, in which they lost the first match 4-1 and won the second 2-1. 2014 Toronto FC Academy and 2016 Vaughan Azzurri full-back Marcus Godinho was selected to the team as well, before then being signed to Scottish first division club Heart of Midlothian. Four League1 players represented Canada at the November U20 series vs USA and Honduras, including Dayonn Harris (Vaughan Azzurri/ Penn State); Shaan Hundal (TFCA 2015/ TFC USL); Kamal Miller (Vaughan Azzurri/ Syracuse U) and Dayne St Clair (Vaughan Azzurri/ University of Maryland). 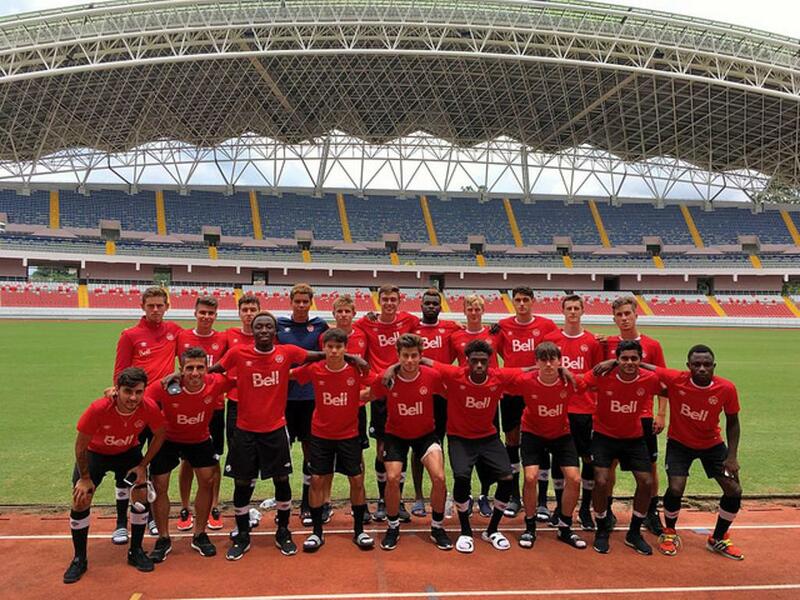 Recently, TFCA's Dante Campbell, Brogan Engbers, Riley Ferrazzo, Marko Maletic, Jacob Maurotto, Glenn Muenkat and Klaidi Cela were called up to the U-18 team that will play a series in El Salvador in the middle of October 2016. Finally, 2016 Woodbridge Strikers player Matthew Rios was selected to attend the pre-Championship camp for the Canada CONCACAF Futsal team in Toronto. 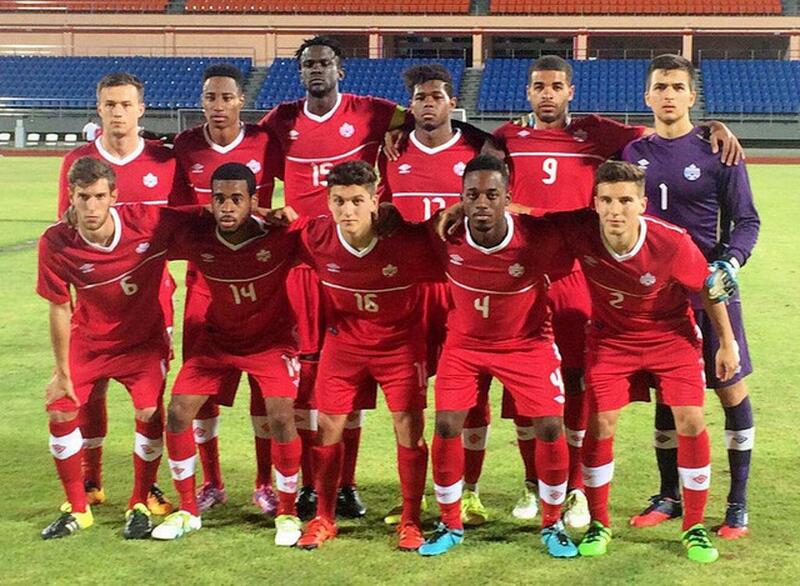 A number of League1 Ontario alumni were also in the squad versus England: Toronto FC Academy 2014 player Tristan Borges (now SC Heerenveen U20); Vaughan Azzurri 2015 midfielder Duwayne Ewart (now Pittsburgh Riverhounds); Toronto FC Academy 2015 player Liam Fraser (now TFC II) and Toronto FC Academy 2014 player Luca Uccello (now TFC II). Borges, Godinho, Ewart, Fraser and Uccello were also part of the men's U20 squad selected for a September camp in Costa Rica, along with fellow League1 alumni Dayne St. Clair from Vaughan Azzurri 2014-15 (now University of Maryland). Four League1 Ontario alumni were also selected to a CAN U23 camp and Caribbean tour in May, with head coach Michael Findlay choosing 2014 Toronto FC Academy's Raheem Edwards (now TFC II), Mark-Anthony Kaye (now Louisville City) and Chris Mannella (now Toronto FC MLS), along with Sigma 2015 player Richie Laryea (now Orlando City MLS). Finally, two League1 Ontario alumni represented Canada at the May CONCACAF Futsal Qualifiers & Championship: 2014 Toronto FC Academy's Marco Rodriguez and 2014 Master's FA Saints' Jacob Orellana. Two other League1 alumni were invited to the pre-Championship camps: Masters 2014 player Kevin Correa and 2014-15 Woodbridge and 2016 Durham player Joshua Parades-Proter. Last, but certainly not least, Cyle Larin (Sigma 2014/ Orlando City) represented Canada for the Senior Men's National team during their friendlies in Korea (Nov 7-12).